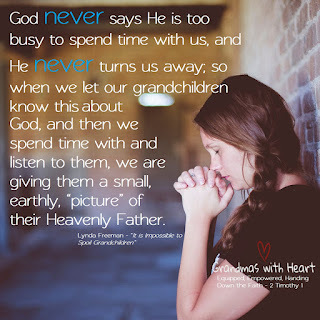 As grandmas, of course, we love our grandchildren unconditionally. As grandmas, we tend to be our grandchildren's biggest "cheerleaders". As grandmas, when we say; "I love you" to our grandchildren, it is not really a surprise, because they hear it from us - and experience it from us . . . often!